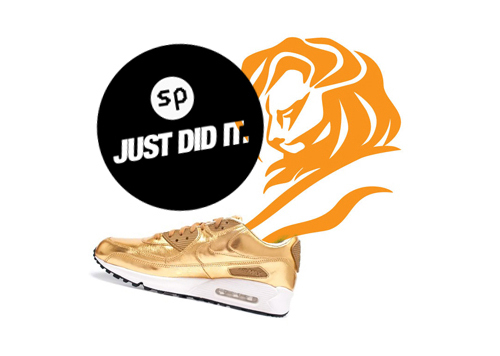 Good Lord, it wasn’t so long ago that I’d never even heard of the Cannes Lions, yet now I’m utterly thrilled and honoured to be part of the Sneakerpedia team that has just won a Gold Cyber Lion at Cannes. It’s a privelage to be a part of this and to receive such esteemed and official recognition. Just fantastic.